Bedrooms in catalogs and magazines create the perfect picture of comfort; they always appear so luxurious and plush. The secret to this look is layering. Sheets, blankets, duvets, quilts, and throws, along with layers of pillows achieve this sumptuous look, but it may not be realistic for you to purchase all of that coordinating bedding or maintain a perfectly-made bed — especially if you live with kids and pets. "There’s something so lovely about a bed dressed in breezy white linens in summer, but autumn calls for something cozier — think thicker blankets, plush quilts and comfy throws. That doesn’t mean you have to buy a whole new suite of bedding for the fall, however — white sheets make for the perfect base layer for an inviting bed. Here’s how to build on them for a sleep-friendly, seasonal look." "A simple, mid-weight knit blanket over your sheets will provide added warmth, and it’s a great place to introduce a fall color to your bed. Earthy taupe, creamy ivory and goldenrod shades are natural picks for fall, but rich charcoal or moody navy can set a dramatic tone too." I would add that if you have a duvet that is warm enough already, simply folding a throw blanket in an autumnal hue at the foot of the bed will add a dose of color and texture, not to mention a layer of warmth that's easy to pull up as needed. Another way to add some color is with a decorative pillow or two. Two white pillow shams fronted by a pretty bolster or a couple of square toss pillows should do the trick. You can change these out seasonally or choose some to hang out on your bed year-round. "Whether you prefer the simplicity of a quilt or the plushness of a feather comforter-filled duvet, your top layer is a perfect place to add a rich pattern. For a cohesive look, look for a botanical, plaid, paisley or ikat pattern that complements the hue of your solid-colored blanket. If you’re pattern-shy, you can go for a solid on this layer here as well, but choose a lighter or darker shade of your blanket color for a layered (rather than too-matched) look, and add a small amount of pattern to your bed with an accent pillow." If you start with an all-white base for your bedding, it's very easy to change the whole look of your bed with just a blanket. There are beds dressed in all-white bedding with a blanket — such as a classic wool plaid blanket or even a Mexican serape — pulled almost to the top of the bed for pattern and color. 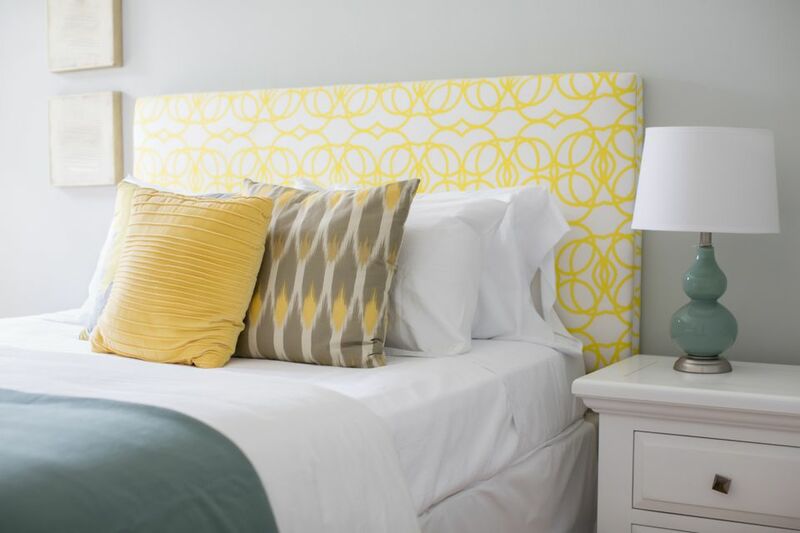 Another great trick for adding — but not committing — to the pattern on your bed is to fold a blanket, quilt, or even a patterned sheet over your headboard. "Accent pillows and end-of-bed blankets offer a great opportunity to bring in cozy fall texture. Look for chunky knits, nubby linen or plush faux fur. Soft pops of these textures will add depth to the look." And finally, one last tip: "Your bed linens are not the only part of a cozy fall bedroom experience. Place a high-pile or shag rug beneath your bed to give your feet a cushy place to land on a chilly morning."